Made of solid plastic. Included are 5 different shapes, 3.28 ft long braided laces and a collection of cards with different sequencing illustrations, classifications, and linking exercises. Each set includes 24 activity cards, 10 laces (3.28 ft long), 60 pieces. 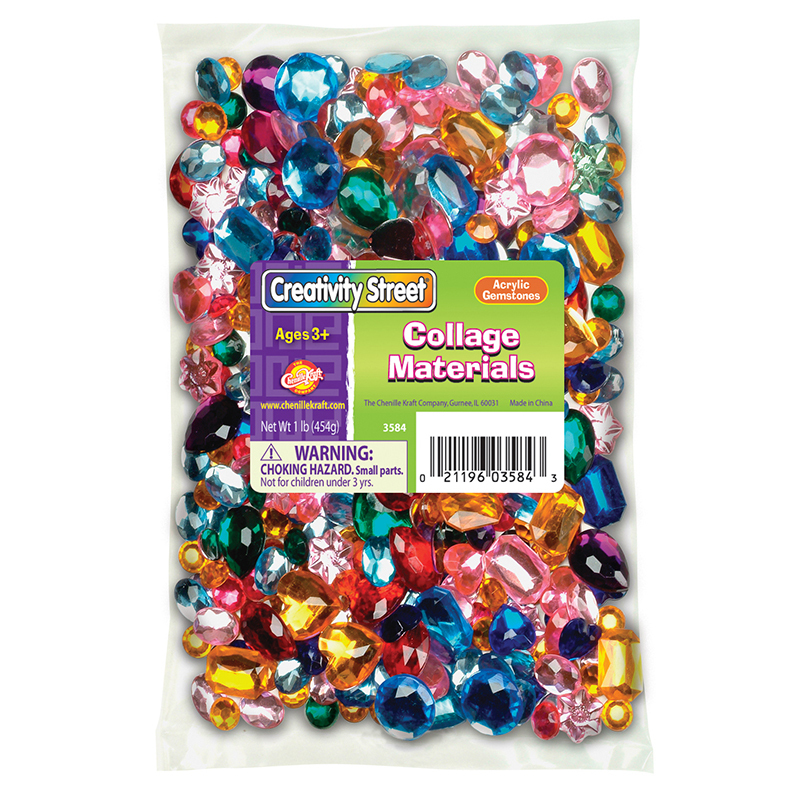 The Giant Beads And Laces can be found in our Beads product category within the Arts & Crafts. Learn to spell with fun, bright lower case letter beads. 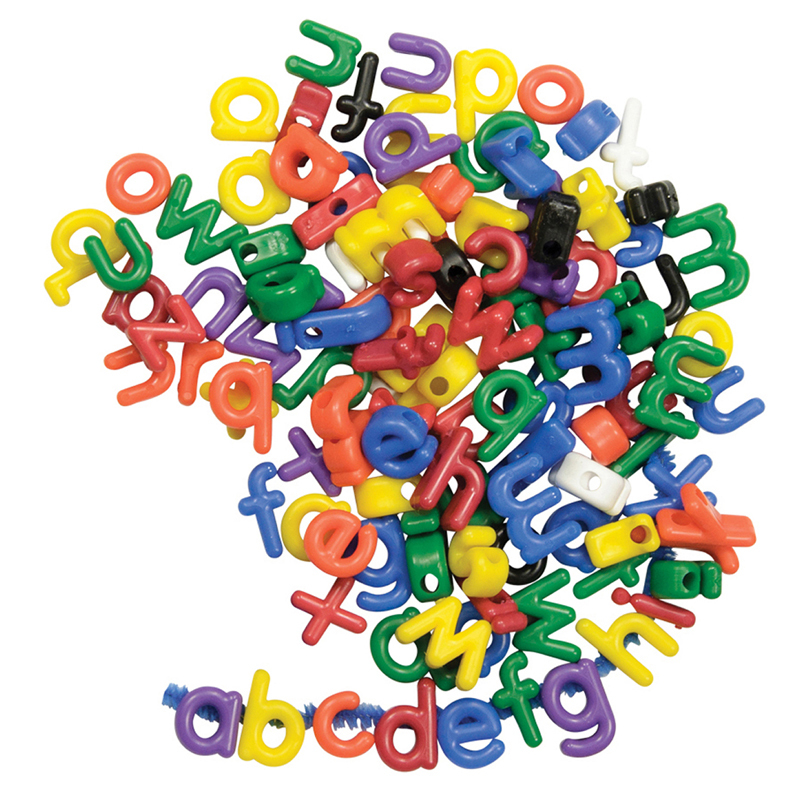 Lower Case Letter Beads are perfect for teaching language to children and language games! Large holes make stringing easy! Up to 5/8 x 1". 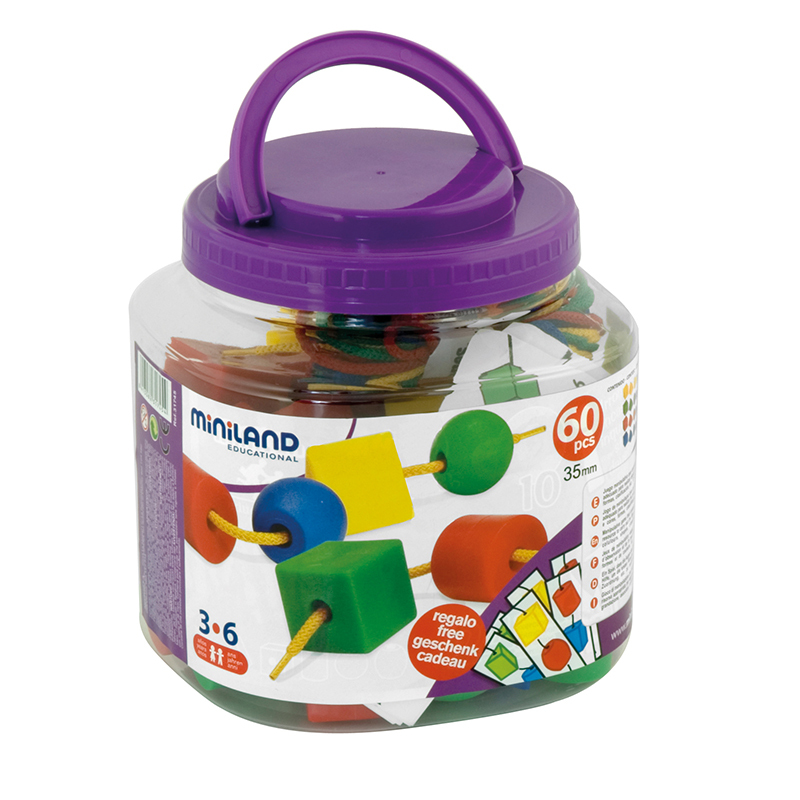 Each pack includes 288.